Spectacular Atlas 5 Rocket Launch Tonight! 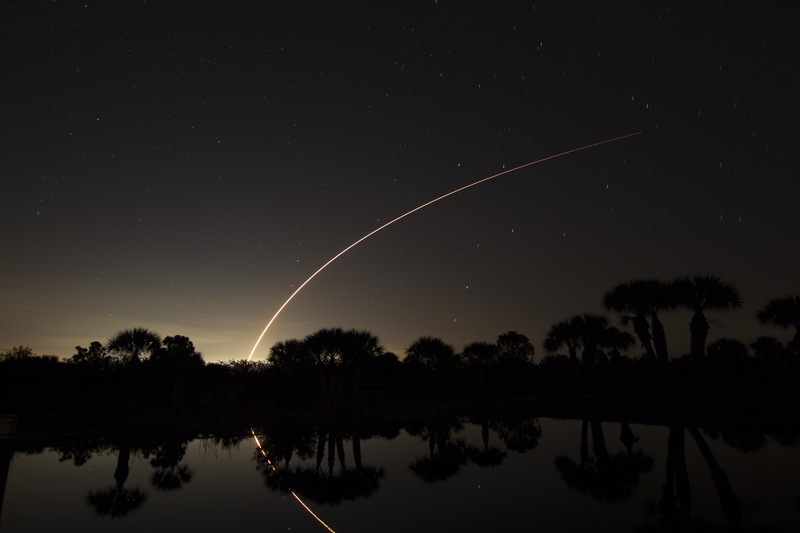 We had a spectacular rocket launch tonight here on the Space Coast of Florida. NASA launched a 3.8 ton Atlas 5 communications satellite from Cape Canaveral at 9:33 pm Eastern Standard Time. What an awesome sight! This picture is a 2 minute timed exposure of the launch as seen from our home in Palm Bay (about 40 miles south of the Space Center). Notice the reflection of the rocket trail in the pond (click on the picture to see details and star colors). Updates and coverage of all worldwide rocket launches is available at http://www.spaceflightnow.com/.